The crash thought to be the very first fatality involving a car driving semi-autonomously may have actually been the second. 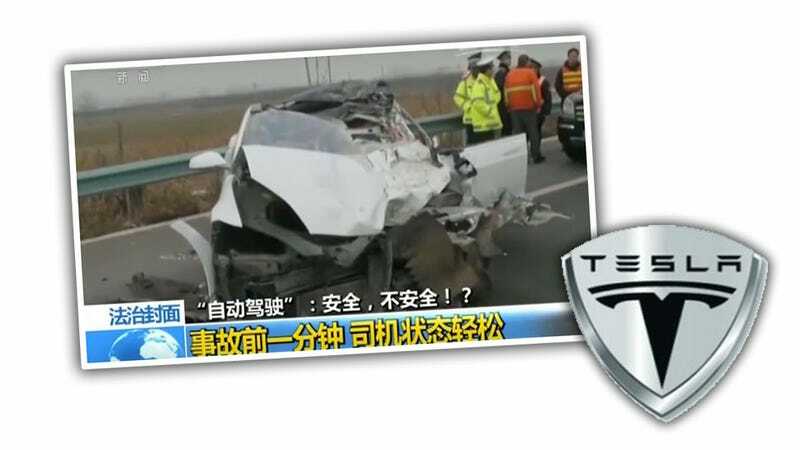 The first is alleged to have happened in January of this year, when a Tesla Model S reportedly in Autopilot mode ran into a street sweeper at full speed outside of Hong Kong, killing the occupant. Tesla is investigating the crash, and told Reuters it has “no way of knowing” if Autopilot was engaged at the time. 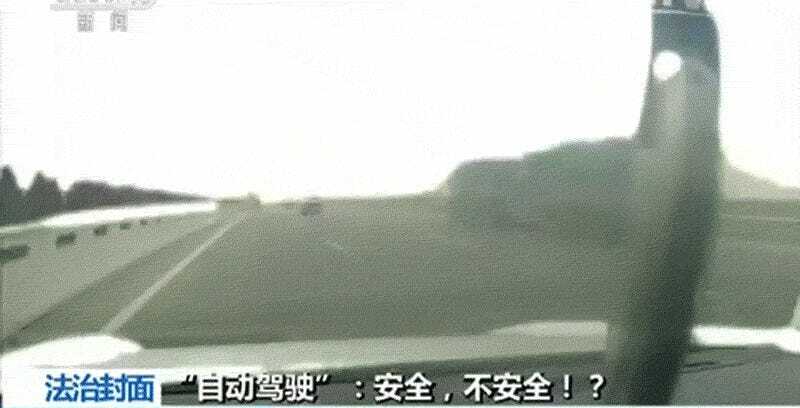 The person in the car was 23, and was borrowing the Tesla from his father, according to China Central Television. Investigators have stated that there is no evidence that the car attempted to brake at any point before impacting the street sweeper truck. The incident can be seen approximately 4:30 into the interview. The conditions appear foggy, but that truck is quite visible. Here’s the segment of the wreck itself; please keep in mind that this is a wreck that resulted in a fatality, just so you’re warned. I think it’s important to see this, though, because, as a wreck allegedly involving Autopilot, we need to know the conditions of the incident. It was foggy, but that truck becomes visible from a good distance away, and it does not appear, as the investigators said, that any braking occurred. The street sweeper was only half in the lane, and half out of the road. This may prove to be an important factor, but at this point we don’t know. What we do know is that a human could have easily seen this vehicle, and responded. That suggests that Autopilot should be capable of seeing and reacting as well. We were saddened to learn of the death of our customer’s son. We take any incident with our vehicles very seriously and immediately reached out to our customer when we learned of the crash. Because of the damage caused by the collision, the car was physically incapable of transmitting log data to our servers and we therefore have no way of knowing whether or not Autopilot was engaged at the time of the crash. We have tried repeatedly to work with our customer to investigate the cause of the crash, but he has not provided us with any additional information that would allow us to do so.